Inspired by the warm weather, Blueberry Pet's new classic collection is perfect for everyday wear. Elegant and simple, this classic solid color collar is made to show off your dog's unique style all year long. 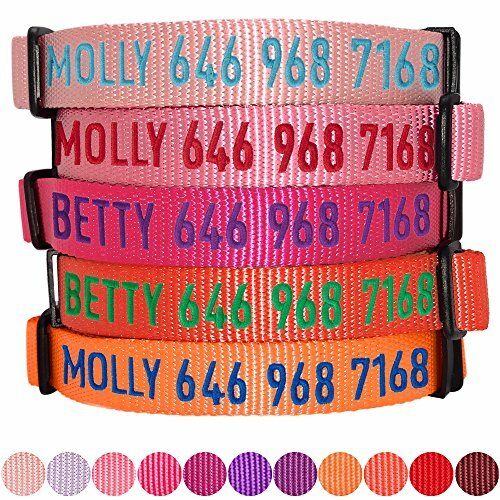 With the heavy duty buckles and D-ring, this durable dog collar is made to last long. This product is available in 12 colors: Royal Blue, Dark Orchid, Neon Green, Florence Orange, Medium Turquoise, French Pink, Emerald, Blazing Yellow, Mint Blue, Lavender, Baby Pink and Rouge Red.